Expatriate Kids News, Expatriate Parents and Tips on Expat Kids » School wear – uniform or not? School wear – uniform or not? Should school uniforms be mandatory in all schools? Plaid skirts, khaki pants, white polo shirts. Whether children despise or approve, it is not uncommon to see kids all around the world commuting to and from school in their uniform. Wearing a uniform for primary and secondary school-aged children is common practice in many countries, but uniform policy continues to be a highly debated topic amongst educators and parents. School uniforms were originally worn by orphan children who represented the lower class. Around the 16th century, during the reign of King Henry VIII of England, the uniform eventually gained a reputation of a higher status quo–one that denotes integrity and obedience, excellence and superiority. Nowadays, school uniforms are not only implemented in England. With as many educational institutions as there are around the globe, it is impossible to supply a list of which countries have uniform policies. Plus it varies with a considerable degree from city to city, district to district and school to school. Most kids in Asian and Islamic countries wear uniforms, but in continental Europe, Canada and the U.S., a uniform policy is rare in state-funded schools. It is common in most private schools however. 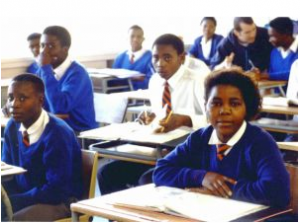 Many developing countries, such as those in Africa or Latin America, implement uniform policies because educators believe that having a uniform gives the students a sense of pride toward receiving their education. It is also safe to say that most international schools worldwide do have some sort of uniform policy. Specifically in the U.S., but in other countries as well, the school uniform debate seems to be a never ending predicament, with neither the pros nor cons outweighing each other. Three main arguments stand out: the desire for safer schools, social conflicts amongst peers and cost. Arguably, the strongest point in favor of implementing school uniforms is to make schools safer. Security guards would be able to easily spot an intruder, but the issue of students sneaking contraband weapons onto school property would not be prevented. Uniforms prevent the use of sexually explicit clothing and gang-related attire, so schools promote a more professional learning environment, but it is also argued that students in uniforms are robbed of their individuality, and uniforms limit a student’s freedom of expression and suppress their creativity. Another advantage of implementing mandatory school uniforms is if all students were dressed the same, social conflicts would decrease tremendously. Uniforms would reduce the risk of muggings and attacks on those wearing designer clothes, and students who are not able to afford the latest clothing trends are less likely to be judged due to their family’s economic status. On the other hand, it is pointed out, that cliques will continue to be formed and students will always be able to find a way to discriminate against their peers, regardless of what they are wearing. Lastly, those against mandatory school uniforms argue that they are an additional, unnecessary expense toward their child’s education. Uniforms can be quite costly, especially if a family has more than one child attending school. Additionally, uniforms for P.E. and extracurricular activities, such as sports programs, is another expense that each family must budget for. Those who are in favor of school uniforms argue that buying a uniform for school, in the end, is less costly than buying the expensive, latest trends at the beginning of every school year. Do your local schools have uniform policies? How do you feel about school uniforms? Let us know in the comments section below! The uniform for school is always in debate. However, I thinks its good to be a uniform for school. I was always very pro-uniform: it saved on the ‘what to wear’ each day palaver, it was (fairly) smart and it helped build a sense of community within the school. However, my love of uniform began to wane two schools ago. A change of headmaster, swiftly followed by a change in PTA meant there were three major uniform changes within one year. And you could only buy the required items from a single store… who never had the right size in stock! Oh, and there was a summer uniform and a winter uniform. We were able to get basics ‘back home’ but this meant the last weeks of our summer holiday were spent frantically trying to track down items in the regulatory colour. Then we moved to another country, with yet another school uniform to purchase. No outlet store this time, we had to again order from overseas, incurring high costs and major panic because that particular colour wasn’t ‘standard’. Same country – we moved schools for various reasons – this new one has a no uniform policy. And it’s actually rather wonderful! And a lot cheaper. My child is at an age where style is becoming important to her and she’s able to pick up some tips and retain her independent look at the same time. The main this is it’s saving us a LOT of money and time – I no longer have to seek out elusive navy blue tights, for example! No uniform is working very well for us right now, but I can foresee problems as the teenage years approach with scary rapidity. Some of the outfits I’ve seen in the upper years are rather jaw-dropping!